Attorney-client privilege is a bedrock legal principle. But on Monday, a U.S. military commission released a photo of what appeared to be an ordinary smoke detector on the ceiling of a room where attorneys met with terror detainees at Guantanamo Bay, Cuba. The smoke detector was actually a listening device that could have been used to eavesdrop on conversations that were supposed to be private. But the Miami Herald reported that one of the top military lawyers for the Gitmo detention facility said he looked into the matter as soon as he learned about it and found that no one was listening in on privileged conversations. A military judge hearing the case against accused 9/11 mastermind Khalid Sheikh Mohammed and four others ordered the photo released. 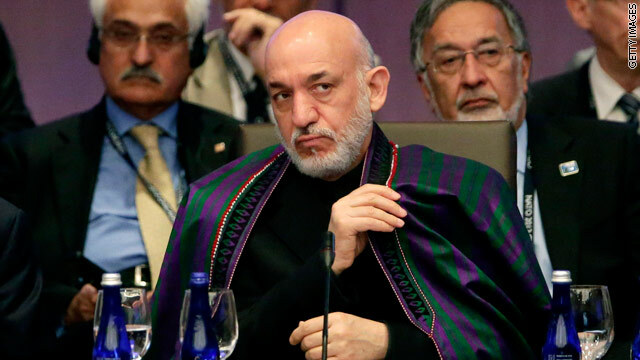 Afghan President Hamid Karzai is not in an enviable position. The man who has led the country for nearly 10 years is a difficult politician to deal with for the most part. Beyond his seemingly outrageous comments toward the United States, he has also been called corrupt and often impossible to predict. In his latest eyebrow-raiser following a bomb blast in Kabul that killed at least nine people, Karzai said on Sunday there are "ongoing daily talks between Taliban, American and foreigners in Europe and in the Gulf states." The comment effectively claimed the United States was trying to foment continued violence inside Afghanistan. The top commander of U.S. and allied forces, Gen. Joseph Dunford, quickly denounced the remark. 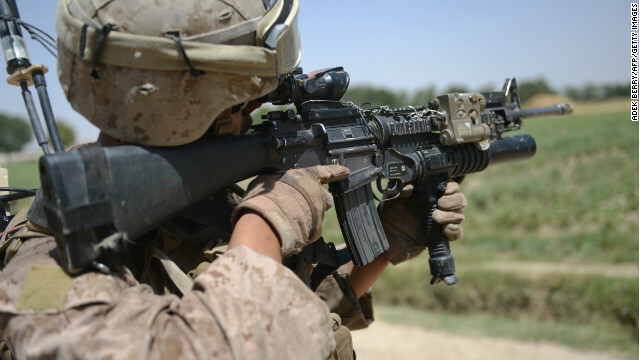 Cutting costs: Marines told "save every round"
United States Marines are being told to preserve ammunition and gasoline as a deal softening the impact of automatic spending cuts continues to elude leaders in Washington. Marine Corps Commandant James Amos urged personnel in a videoposted online Friday to "save every round, every gallon of gas," and to "take every single aspect or opportunity in training to get the most bang for the buck," a reminder of the cuts' immediate effect on the U.S. military. "This is no time to do business as usual," Amos said in the video. "Things have changed. The landscape's changed. We need you to be conservative in the way you do business, I need you to think about conserving our assets, and I need you to become part of the solution as it relates to sacrifice."